With spring just around the corner, growing your own herb garden is an easy way to get back into your growing… or start if you’re new to gardening. Herbs need very little space, especially if planting into your BaleGrow straw bale garden. And the great news is that you don’t need any experience to start. 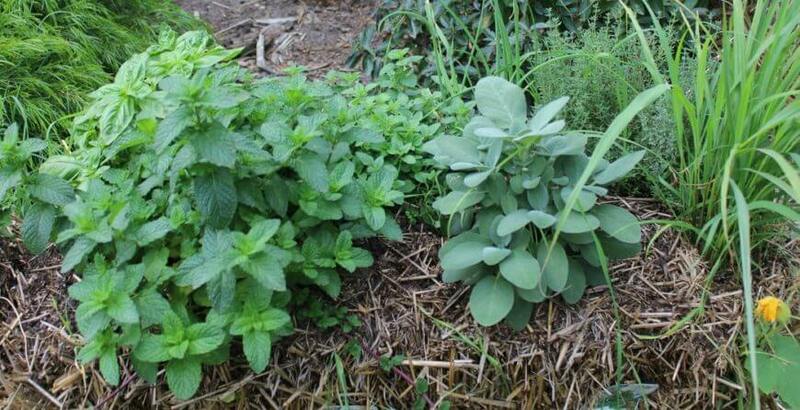 Culinary herbs such as basil, rosemary, thyme, parsley, mint and oregano are all great additions to any herb garden. The best part is, you won’t have to wait long to enjoy the fruits of your labour – you’ll be eating from your new garden within weeks of planting out your seedlings. After you have conditioned your bales and are ready to plant your herbs, only choose the healthiest looking plants from your garden centre. Most importantly, make sure your BaleGrow straw bale garden gets lots of sun. A sunny spot on your deck, patio or even your front garden are perfect for herb gardens. I like to grow my herbs right outside my kitchen window. Not only do I enjoy the look and smell of these beautiful plants, they are nice and accessible when I need them. So choose your sunny spot, plant your favourite herbs and all you have to do is water them well and watch them grow. So your herbs are growing beautifully. What now? Coriander: Leaves, stems and roots can be used in soups, curries and salads. Or mix some chopped leaves with some mashed avocado, fresh lime juice and a little salt for a delicious, healthy dip. Rosemary: Fresh or dried leaves are used in traditional Italian cuisine. Rosemary is delicious when roasted with lamb or beef. I also love to use the woody stems as a skewer for lamb koftas. Basil: The leaves have a warm and spicy flavour. Basil is a great addition to soups, sauces and salads. Finely chopped leaves are delicious with tomato on toasted bread. Basil is also the main ingredient in pesto. Believe me, once you make your own pesto, you’ll never buy it again! Parsley: One of the most versatile herbs, parsley is great in marinades, sauces and dressings. It’s also a delicious garnish for any meat or finely chopped and mixed with pineapple juice for a refreshing drink. Mint: Brew leaves into tea, or to garnish cold drinks. Mint leaves add a delicious freshness when mixed with salad greens and are also popular in many hot and cold Asian dishes. Drop us a line and let us know what you’re planting this spring!